The works I show here, were made for my own entertainment and first shown in my Facebook album “Just for Fun”. They were given quite a good reception from those who saw them, so when I saw an invitation to enter the luton art’11 exhibition, I thought why not? I had never previously entered an open exhibition even though Luton’s Annual art exhibition has been a feature in the town way back since before I was born, which is a day or two! 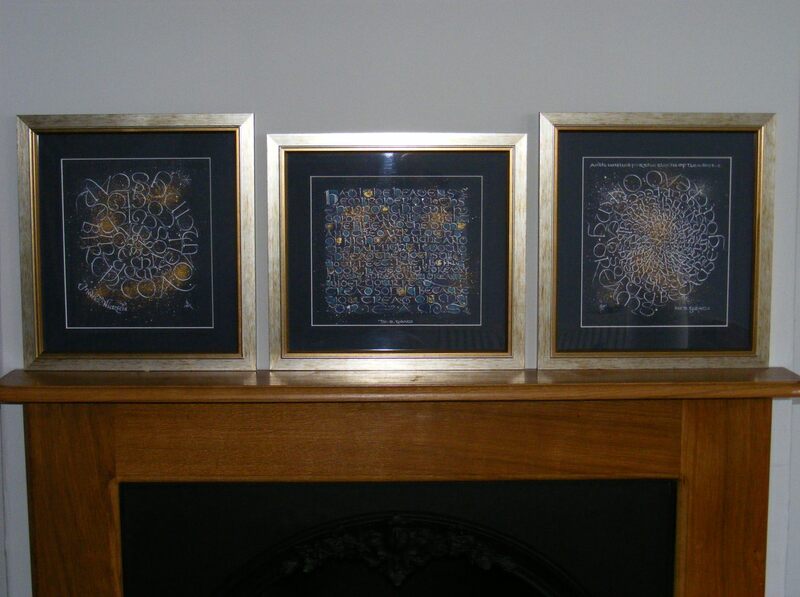 So, on the submission date, off I went with my shortlist of three pieces, shown here lined up on the mantlepiece. From left to right a quote from Friedrich Nietzsche and two versions of Aehd wishes for the cloths of heaven by WB Yeats. You could have blown me down with a feather when I subsequently got notice that two of my pieces had been accepted. Guess which……………………………….. If you live locally you can find out by going to have a look. The exhibition is on until 26th February. There is some lovely work on display. 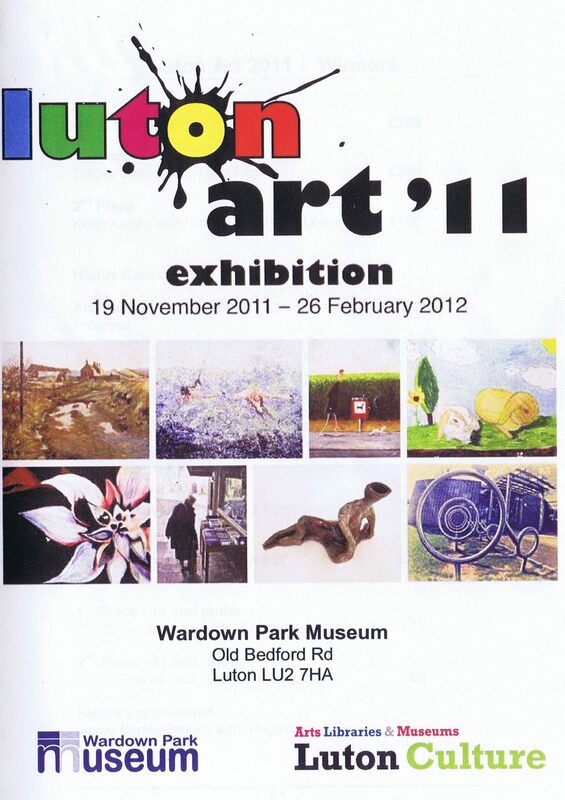 Wardown Park is a great setting so why not make a day of it? If you can’t make it, keep watching this space. 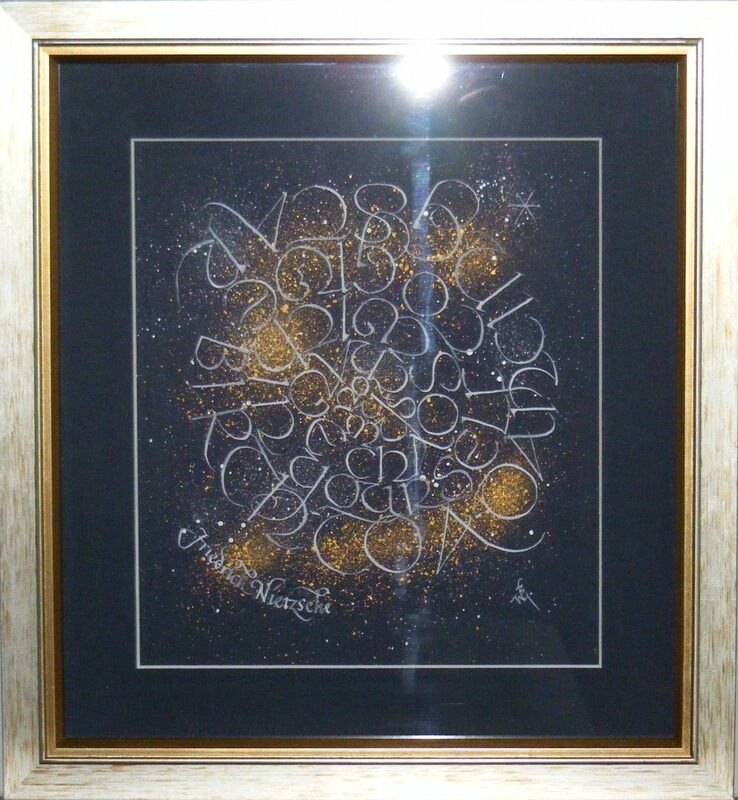 This entry was posted in calligraphy, exhibition, Uncial and tagged calligradoodles, calligraphy, Luton, luton art '11 exhibition, Wardown Park.. Bookmark the permalink.